HA NOI (VNS) — Images captured by ethnic minority children are featured in I Tell You My Stories, a photo book that will be released today. 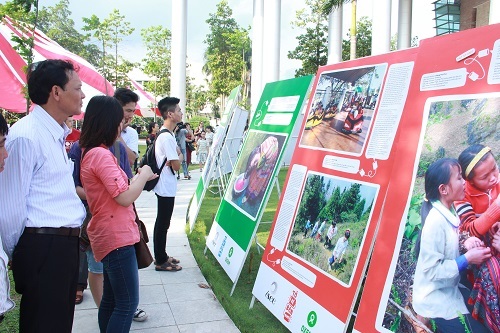 The photographs were selected from thousands taken by children from ethnic Mong, Cham, Raglai and Mo Nong groups in the central province of Ninh Thuan, the northern province of Lao Cai and the Central Highlands province of Dak Nong. The children were provided with cameras and trained in character photography and story building. The photos reflect their awareness of urgent issues such as hygiene and environment, as well as offering a glimpse into local culture, childhood games, traditional festivals and daily activities. The book was published under a project funded by Oxfam, an international organisation working to end injustice and poverty, and the Institute for Social Research, Economics and Environment (iSEE).